season, Central Hokkaido wins the El Niño wars! With a stunning 83% chance of outperforming an average year, the Central Hokkaio region (which encompasses such areas as Kamui Ski Links and Furano) comes in first place for a very likely big snow dump this winter! 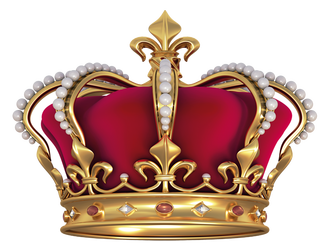 Hooray for them! Between 1954 and 2014, JMA recorded an average annual snowfall in the Asahikawa region of 617cm. 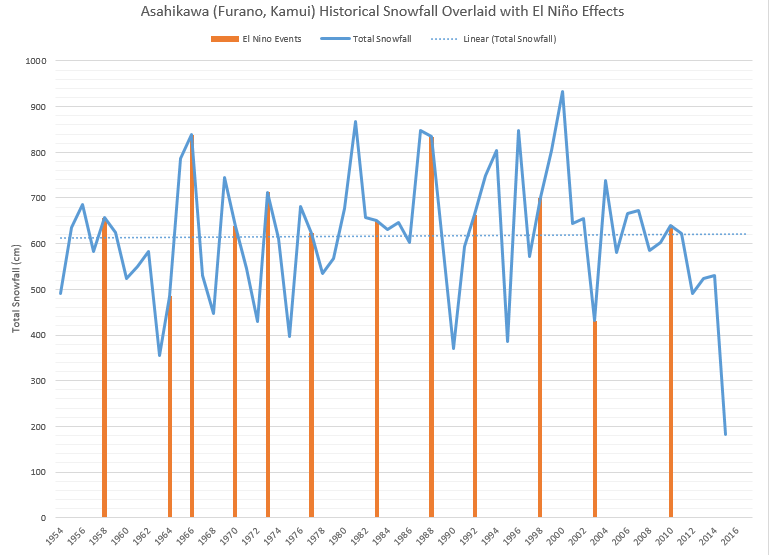 During the 12 El Niño cycles listed below, only 2 years had snow fall below the average and 5 years had snow fall above the average, indicating that an El Niño cycle in the Asahikawa region is historically very likely to produce above-average snow fall conditions! Woooooooooooooohoooooooooo! While some El Niño years such as 1964, 1983, and 2003 show a decline in snow fall during El Niño period, other years such as 1970, 1973, 1988 and 2010 show that El Niño years significantly outperformed the average. How does central Hokkaido compare to other regions in Japan? The first thing you should note about this chart is that the Japan Meteorological Agency (JMA) doesn't have a weather station closer to Furano than Asahikawa (from what this investigator could figure out). While Asahiwaka is relatively close, it does get significantly less snow than Furano. However, given that they're in the same region and prone to the same general weather influences, the data for Asahikawa should reflect the overall conditions and trends of Furano and other central Hokkaido ski resorts.